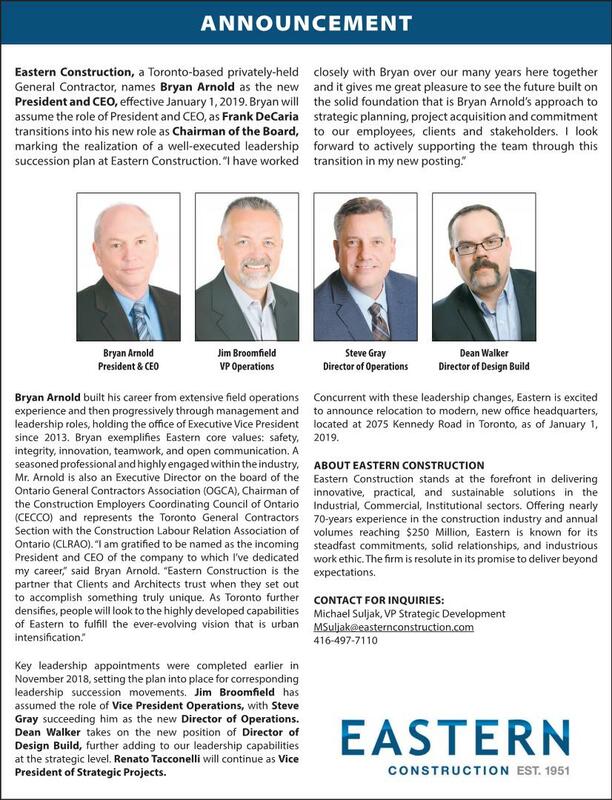 As one of Canada's most respected employee-owned construction companies, Eastern Construction stands at the forefront in delivering innovative, practical and sustainable solutions in the Industrial, Commercial, Institutional and Residential sectors. We think forward. With nearly 70-years experience in the construction industry, we are known for our steadfast commitments, solid relationships, and industrious work ethic. We are resolute in our promise to always deliver above and beyond. We rise above.